Amazingly, the Nintendo Switch is slowly but surely becoming a Final Fantasy fan's dream console. Last month saw the release of Final Fantasy IX, the adored Final Fantasy VII launches next week, and Final Fantasy XII: The Zodiac Age and Final Fantasy X | X-2 HD Remaster both arrive in April. Speaking of Final Fantasy IX, various members of the development team for that game have taken part in a video interview shared by Square Enix on YouTube. The video is the first in "an ongoing series of developer featurettes" called 'Inside FINAL FANTASY', which is set to celebrate the games by bringing together interviews with a variety of original creators, artists and developers. This Final Fantasy IX video features Shinji Hashimoto (Producer), Toshiyuki Itahana (Artist), Kazuhiko Aoki (Event Designer) and Nobuaki Komoto (Event Planner), who all discuss the process of the game's creation and reveal the odd secret or two along the way. You'll need to turn on YouTube's closed captions setting (one of the options at the bottom right of the video) unless you're fluent in Japanese. Have you been enjoying Final Fantasy IX? Will you be picking up Final Fantasy VII next week? What a time to be alive. The "Final Fantasy fan's dream console" moniker is, sadly, still taken by the PS Vita, but if Square keeps delivering that might well not be the case anymore. Here's hoping. Oh, and also, cue obligatory ProZD clip which I had embedded before. Eh? I'm not seeing subtitles. Better get on the app, I guess. If I can clear enough backlog, I hope to play this game as soon as I can. 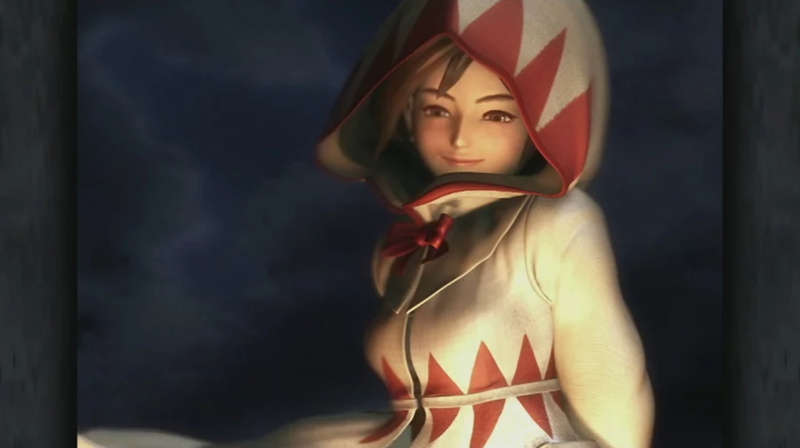 I have my problems with the game (Stealing, Lack of character customization, slow animations, Chocobo minigame), but FF9 is still quite good and you can clearly tell that it was a game made with passion. I enjoyed my recent playthrough of it a lot. @MeloMan IX is a gem and would easily be in my top three if I didn't love IV, VI, and VII more. Mostly because I just haven't played it as much as the others. It's tied for fourth with VIII for me. It's my least favorite of the PSX FF games, but it's not a bad game in and of itself. Its character designs just don't hold my attention the way they did in IV, VI, VII and VIII. I want FF IX Switch version in Physical ! It's been weird playing FF IX again, the cut scenes still look absolutely fabulous, but it is really jarring the what seems like flat backgrounds with the 3d models feeling like they are running around on a paper background lol. I still plan to play through it, but right now been playing a bunch of the division 2. I'm still interested in the full replay through. @Expa0 stealing is about luck and that is ok, the chocobo minigame is one of the greatest in the franchise, lack of character customisation? there are tons of armours or weapons... so, what?! @dougphisig is that background problem still a big deal even in handheld mode? The story in 9 is just fantastic. There's lots of emotion, great use of symbolism, subtlety, and it doesn't wear out its welcome. There are a few minor problems but overall its easily among the best if not the best writing in the series. Giving valuable equipment to every single boss is the problem, idling 10-15 minutes watching Zidane try to steal over and over from every single boss battle is not my idea of good time. You can NOT do it if you want, but you're basically just handicapping yourself if you're not. The minigame isn't quite as terrible as some of the others in the series, but the problem is that so much content (including the secret boss) is hidden behind it and you have to spend like 3-4 hours on it every playthrough, I play RPGs for the RPG gameplay, not to waste my time grinding on some depressingly simple hot & cold treasure hunt. It's not fun. Armours, weapons fine. But I was referring to changing of skills and such. The characters are depressingly preset in how they function in battle. Yeah, the updated 3D models make this more apparent than ever sadly. I wish they'd share the secret of a discount. Seriously, though, it IS a great game! I would place it easily in the top three of the entire series, but I have such a huge backlog right now that I can wait for a good sale! It will be my third time buying it. It IS crazy, though, how far of a leap they made from Final Fantasy VII to IX! @Expa0 To be fair you're mostly complaining about optional content. Very few steals are required they just get you items earlier than you can buy/synth them. Once you get the two pieces of thief equipment steals become almost guaranteed. So really stealing mostly just makes an easy game even easier because you get powerful equipment much earlier. In terms of the chocobo game I think only the mogmail sidequest and Ozma are locked behind it. Once you've faced Ozma is it really necessary to do it every playthrough? Especially when you hate it? I guess the Ark summon is technically locked behind it but again is Bahamut really not enough if you're using Garnet? Eiko is the more powerful summoner anyway. Basically if you don't steal or do chocobo hot and cold you can still do 99% of the game, getting almost every piece of equipment and you mostly just miss out on Ozma and the Ark summon. The absolute shining jewel of the entire FF series. I love the series. I still feel 7 is overrated even though I have a sentimental soft spot for it in some ways, the story was an incomprehensible, illogical mess, even when compared to KH. But IX....is just beautiful in every way. Yes, clearly the series is not for me despite enjoying pretty much all of them up to 12, including this one as I said. Just because there are a few things about the game I don't like doesn't mean I hate the game. The minigames really are only prevalent in FF7-10, it's not exactly a series wide tradition and unfortunately in this game you're kinda forced to do it if you want the full experience. I think beating the super boss is a big part of the experience, plus the fight in general is easily one of the most fun in the game. @Expa0 On a first playthrough sure, but they always expect you to jump through a lot of hoops to get to and be able to fight the super bosses. Most of the games require some pretty heavy item searches and such to either be able to challenge the super boss or be able to survive. I suppose 8 would be an exception in that all you need is aura and lionheart to trivialize anything in the game but that's an exception in FF. @Expa0 But those mini games are also a part of the full experience! minigames were also in Final Fantasy VI so it is a pretty common thing for FF ...mini games were also in 11,12, 13 trilogy and 14 and 15...so mini games have been Final Fantasy already 25 years. You are clearly wrong. You may have beaten a whole bunch of the FF games but you are not a real fan. I want 13,13.2, Lightning Returns on the Switch. Or at least all the Square Enix games that are on Google Play. The ones on Google Play should be easier to port. Awesome video! Cant wait for the others. I wish I could hug everyone in this video. 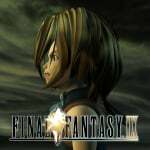 FF9 is my favorite game of all time and absolutely changed my life back in middle school. Replaying it on Switch was pure heaven. I would so buy an N64 just for this game, it's such as an awesome RPG that should had originate on a Nintendo system. @retro_player_22 it would not have fitted. @BlackenedHalo Haven't tried playing it in handheld mode yet, I mainly play docked wick the occasional handheld. @BanjoPickles yeah definitely still better looking than VII, however one was beginning of PS cycle and other was closer to the end so it makes sense. Though it's even more insane when you look at the leap from PS to PS2 with FFX man that was a huge graphical upgrade lol. I'm looking forward to replaying that next month when I pickup FFX & X-2. Oh man, that was the game that sold me on the PS2! I’ve never played XII, so I’m excited for The Zodiac Age. VII was definitely still a jaw dropper for its time. I was originally going to buy an N64 for that game alone....and then when Squaresoft shifted gears, I went with Sony.